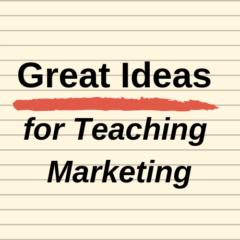 The material and information on this website is primarily designed for marketing lecturers and instructors to use in their lessons. However, you will probably find that some examples and concepts will be helpful for your study and revision goals. And the third website covers a cross section of marketing topics – ideal if you are studying an introductory marketing subject. It is called the Marketing Study Guide.